Flamethrowers in Stock at the Best Price! Personal Flamethrowers have many great purposes, controlled burns, weed control, melting ice/snow and of course lighting bon-fires. Also other practical purposes like impressing your friends with the ability to light a camp fire in seconds. 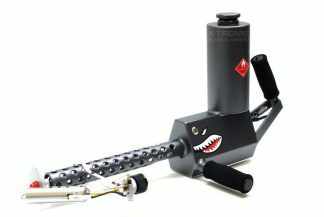 Xtreme Guns and Ammo in Richmond Texas Carries all the Ion Products XM42 Flamethrowers and The all new XM42-M Modular Flamethrowers and Accessories, Spare Tanks and Backpack Tanks. Please call XGA for all your Personal Flamethrower needs at 832-363-3783 or Chat with us online during regular chat Hours.